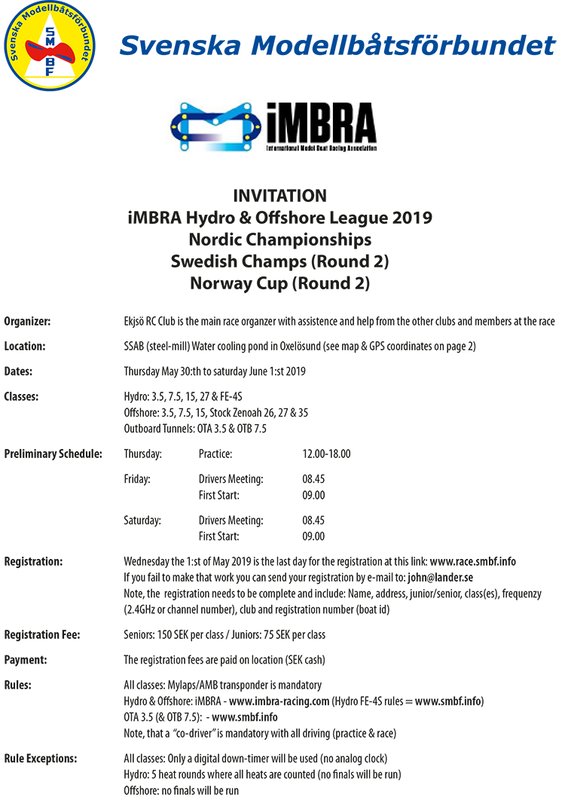 Here is the invitation to the Swedish iMBRA Hydro & Offshore League race in Oxelösund end of May. 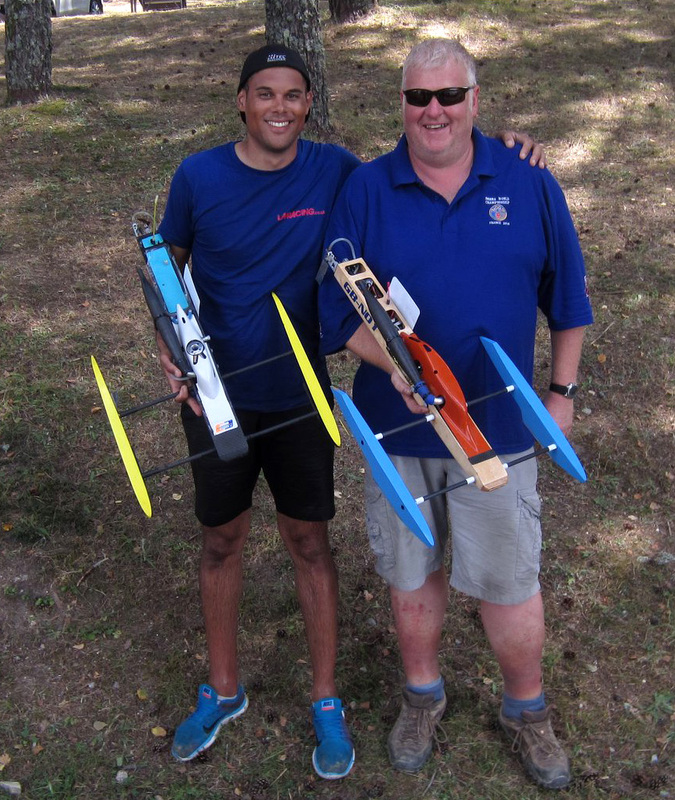 RC BOATING TODAY 110 from Maturo Entertainment Group on Vimeo. 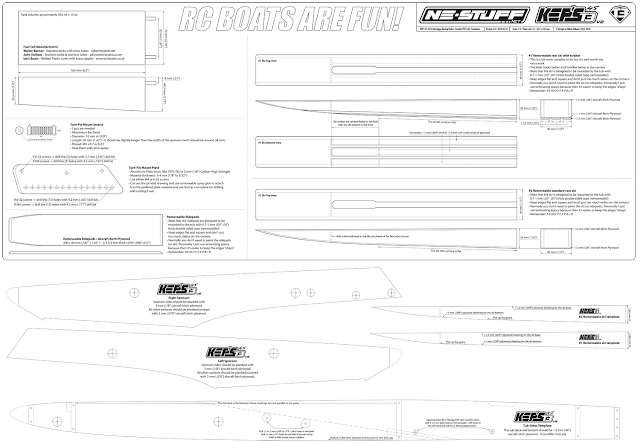 RC BOATING TODAY 108E from Maturo Entertainment Group on Vimeo. 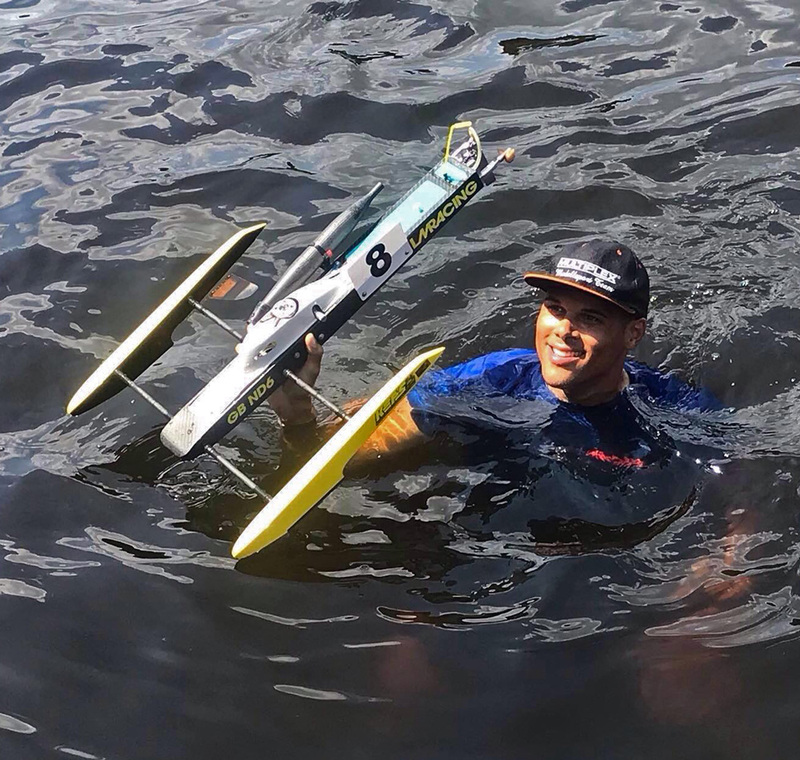 RC BOATING TODAY 107 from Maturo Entertainment Group on Vimeo. 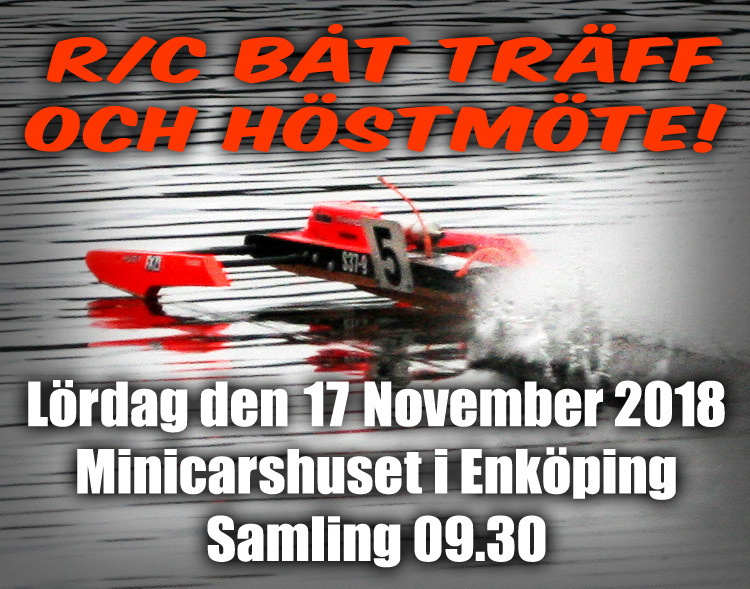 Höstmöte & R/C Båt Träff 2018! Anmälan: Obligatorisk (och bindande vad gäller lunchen). Anmäl er senast Söndagen den 11:e November till niklas@minicars.se – var god notera vid anmälan hur många ni kommer och hur många lunch ni önskar. SAW Nitro World Record 134MPH = 215 KPH! Earlier this April Martin Truex Jr set a new straightaway world speed record in a SAW event in Huntsville with an impressive 215 KPH! Presenting the updated KEP's T3-45 V2 Freebie! New Sponsons to accommodate the new turn-fin mount! New Turn-Fin. The new shape makes it more planted on the water and its easier to turn left. New Turn-Fin Mount: The new plate mount is more rigid and is easier to make. It can be made in high strength carbon or hard aluminium. Kick Up. The rear part of the tub bottom has a kick-up of 2 mm (The original T3-45 had that also). Longer sponson ride-pads. 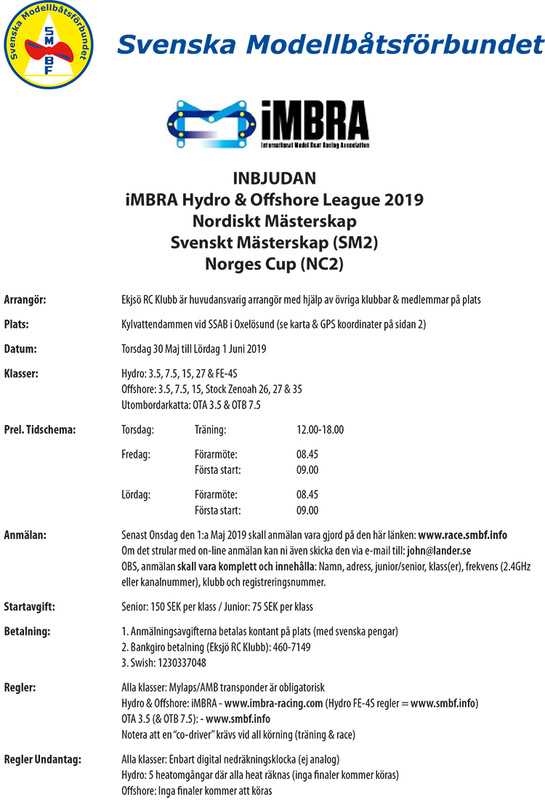 Improves rough water handling. Slightly new nose section of the tub. Even more rounded nose block plus a little stretched-out side profile in the nose. 3 mm longer C-C spacing of the sponson tubes. That is to accommodate a slightly bigger tank. Top deck leaning forward. 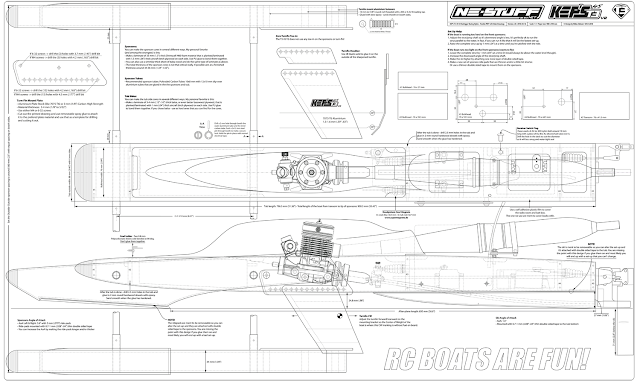 The tub deck where the cowl sits is leaning forward (as it also did on the earlier version). 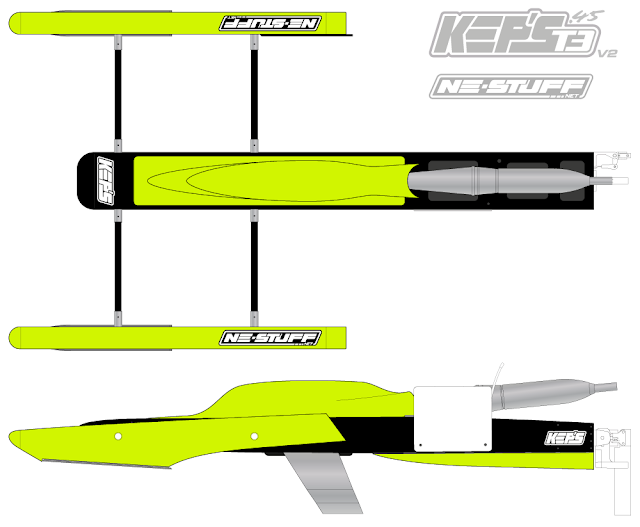 Optional ski designs. The ski’s are the same as the earlier T3-45. The optional ski with strakes on the flat running surface improves the tracking and side stability but it’s bit more difficult to do. Longer fuel cell. The earlier T3-45 tank still fits but now you can make it 3 mm longer for more fuel capacity. It’s more common now to make the tanks in plastic and that takes away volume as they use thicker material. 2x12 mm steel pin for securing the sponson tubes (much better then any other securing system we've tried by far). KEP's T3-45 V2 Main Drawing - The Freebie drawings paper size: 980 x 594 mm. Make sure that it's printed 1:1 scale / 100% size. Click HERE for download (works best on a stationary normal PC/Mac). 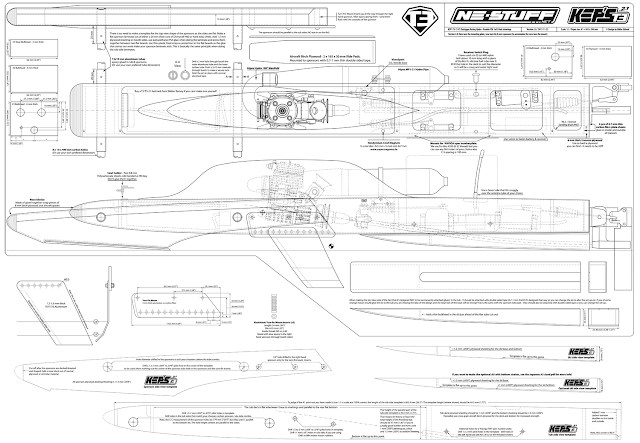 KEP's T3-45 V2 Templates Drawing - The Freebie drawings paper size: A1 = 841 x 594 mm. Make sure that it's printed 1:1 scale / 100% size. Click HERE for download (works best on a stationary normal PC/Mac). If you have the earlier KEP's T3-45 "V1" - Click HERE for a download of an updated "V2" fin that is adapted for the T3-45 "V1" turn-fin mount. This turn-fin does not fit the T3-45 V2 boat as it has a different turn-fin mount! This is a size comparison with the KEP's T3-45 V2 (top) and the T3-21 V2 (on the bottom). 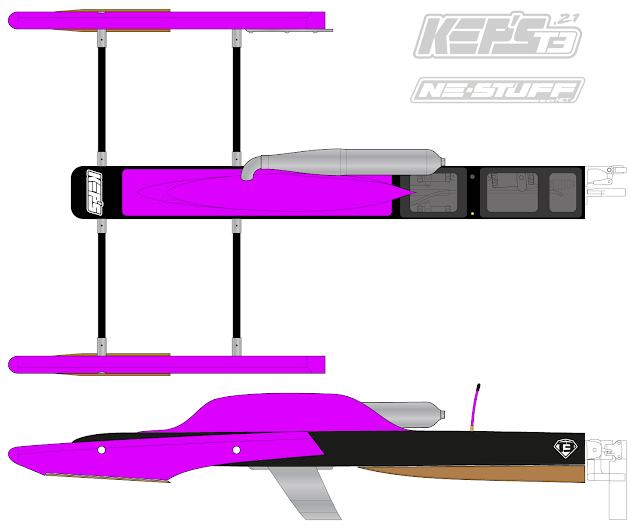 Presenting the updated KEP's T3-21 V2 Freebie! Flat sided sponsons. It really does not matter if the sponson top-view is elliptical, as the earlier T2, or flat sides as the new T3 - there are no performance benefits with elliptical so I changed it to flat sided instead. The new flat sided sponsons are much easier to build also! Longer sponson ride-pads. 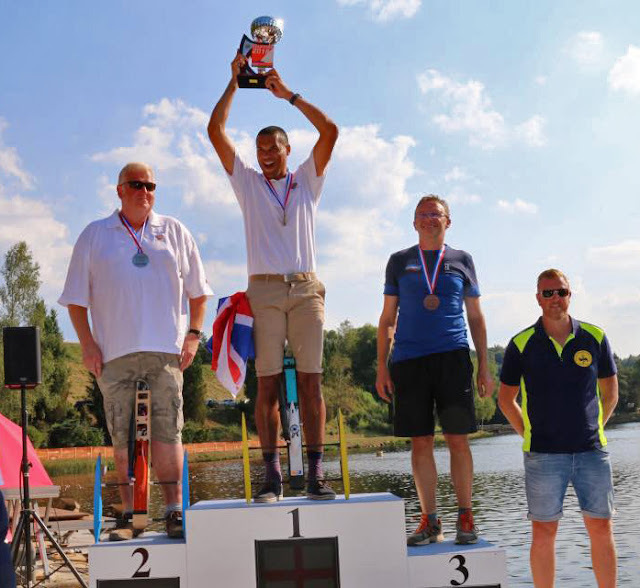 Improves rough race water handling. Improved side profile of the sponsons. Creates less lift and less water drag (from the spray behind the ride pads). Lower AoA of the sponson ride pads. Improved handling in heat-racing conditions. Longer after-plane. It makes it a tiny bit better in rough sea (other improved items makes more of a difference though). The tub is leaning forward (lower in the front then in the back). 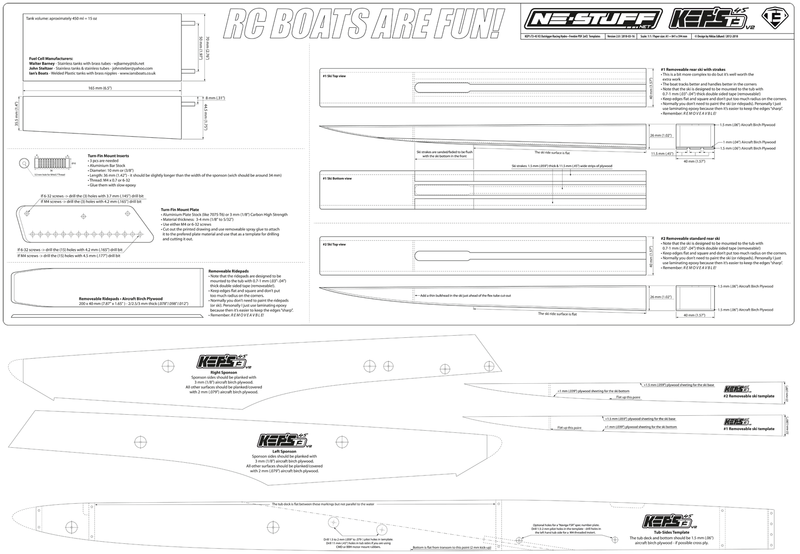 Improved ride that overall creates a better stance of the complete boat on the water. Slightly different nose shape of the tub. Wider spacing on the sponson tubes (front & rear). Improved rigidity. As the tub now leans forward the tube centers are also adjusted so they are parallel to the water. Channel 2 & 3 servos sit on either side of the flex and the receiver on the tub floor. Much easier to fit the mini servos. Wider ski with improved AoA. Better in rough water and it's easier to maintain the overall boat AoA everywhere on the course. 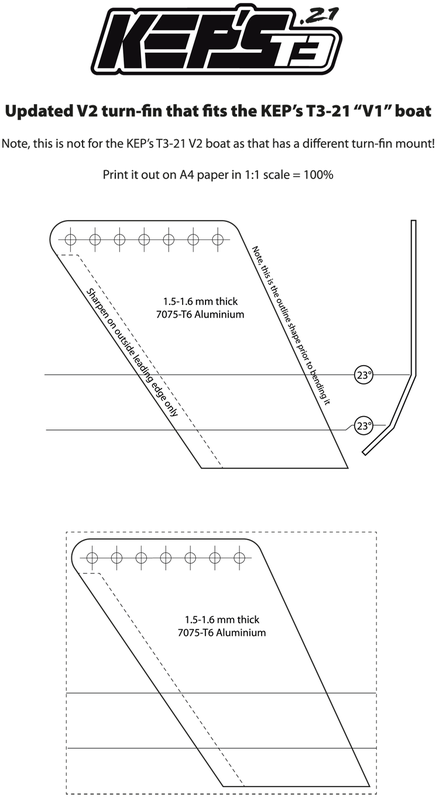 Optional ski design with rakes on the running surface. Improved side stability in the corners and on the straights. Note: the T3-21 works equally well with an in-line engine. It will run a tad bit lighter in the front though but that is NO problem. 2 mm carbon rod for securing the sponson tubes (much better then any other securing system we've tried by far). 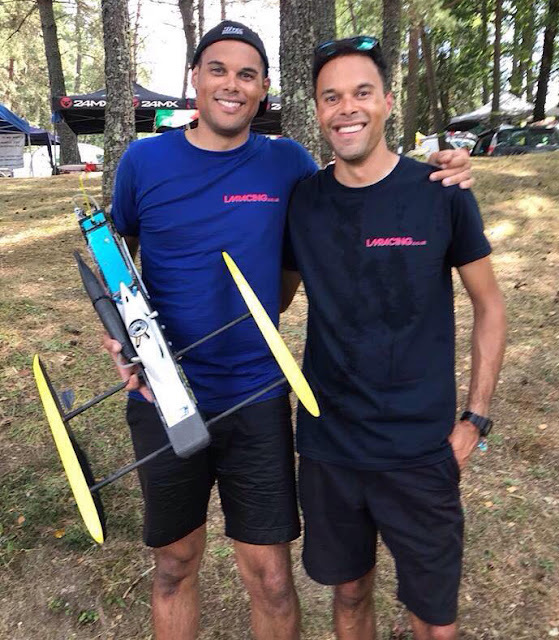 Propeller: The T3-21 is not that critical regarding props I think and it depends on how you race and drive. For me personally I like an "easy" prop with not that much cup but with a a bit more COB pitch so you get good acceleration. I also like to be able to throttle at all times so that means I don't like props that are heavy on the engine and I don't use that short pipe lengths either. All props I've used are done by Mark Sholund and the ones Ive used the most are ABC 50x69 with 45.25 mm dia, 2.81 COB pitch and 3.33 cup. The ABC H6 with 45.9 dia, 2.9 COB pitch and 3.33 cup works fine also and they let you rev the engine quite easily. 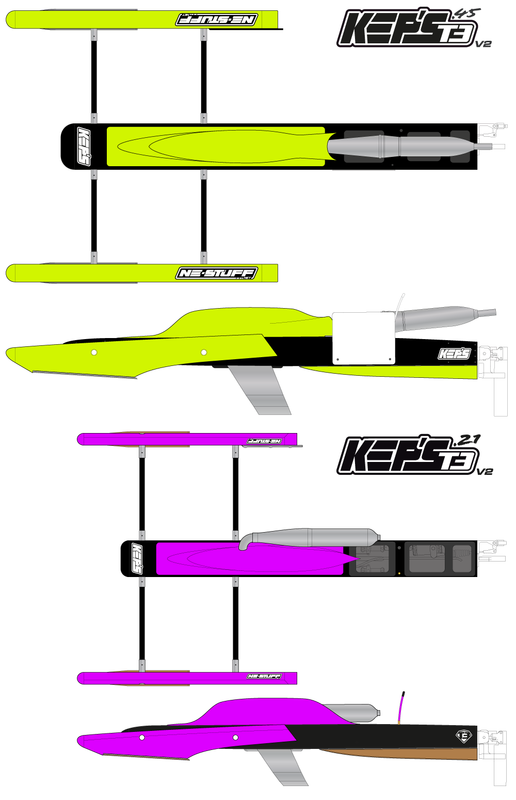 The current KEP's T3 design is based on "3-point flat-plane technology" that means they run very light on the water. This type of outrigger design rely on a good balance between aerodynamics, hydrodynamics, center of weight, how much weight you have on each of the 3-points, rudder and the turn-fin. 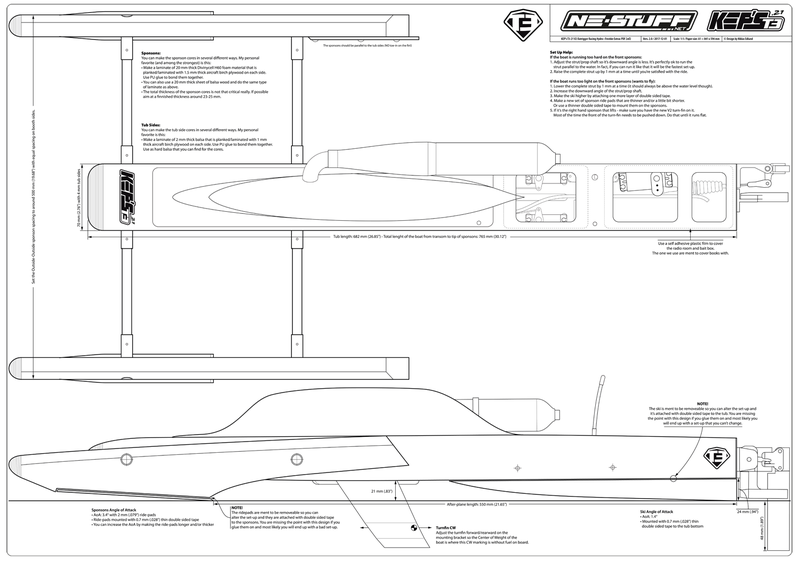 If you build the T3-21 V2 according to the plans and don't make any of your own design or geometric changes - then there is plenty of adjustment in the changeable/removable ride-pads, the changeable/removable ski and the strut height/angle. Don't place the turn fin too far forward. The boat will "dart" (wanting to continue to turn coming out of the corners) and it will be difficult to keep straight. If your T3 is pulling to the right at speed on the straights: Double check that you have mounted the sponsons straight vs the tub - If not - correct that. If it still pulls to the right, check that the turn-fin is sharpened correctly and not dull on the leading edge. A turn fin that is not sharp will make the T3 to pull to the right even at slower speeds. 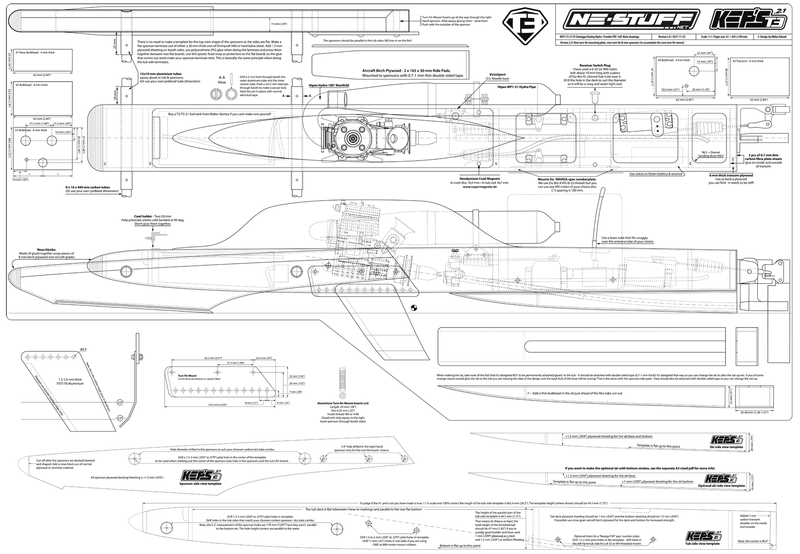 KEP's T3-21 V2 Main Drawing - This pdf includes all the templates you need. 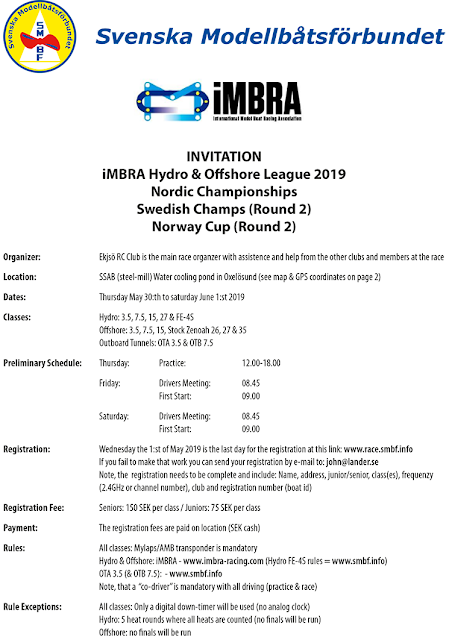 The Freebie drawing is in A1 size (paper size: 841 x 594 mm). Make sure that it's printed 1:1 scale / 100% size. Click HERE for download (works best on a stationary normal PC/Mac). 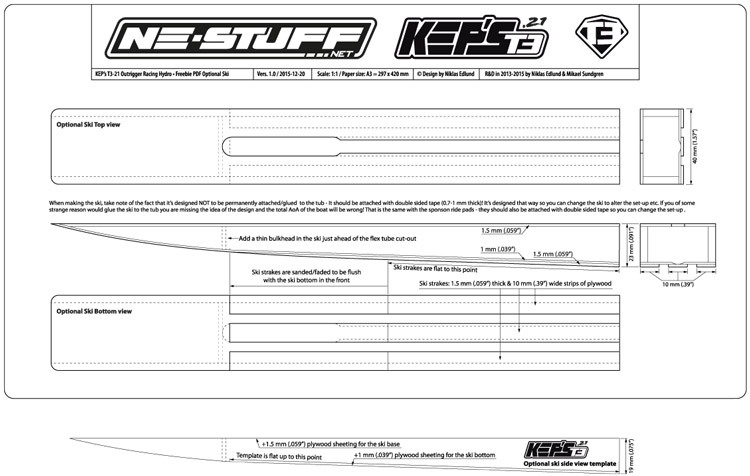 KEP's T3-21 V2 Extras Drawing - This pdf includes some extra measurements. 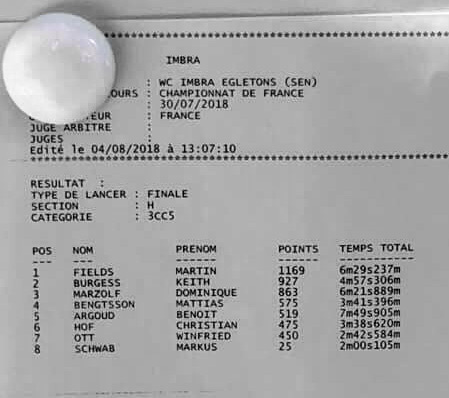 There is no real need for printing this one. 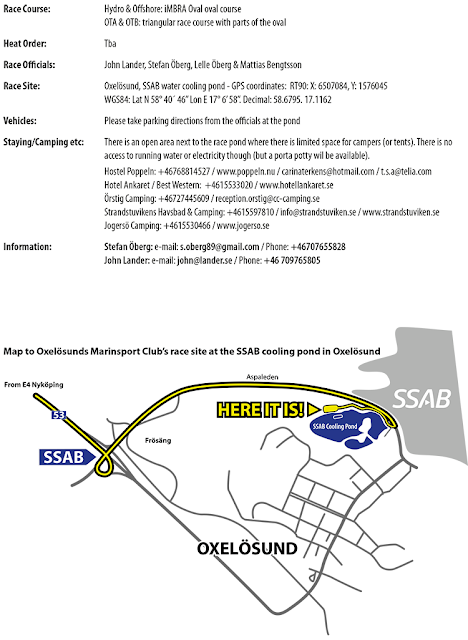 The Freebie drawing is in A1 size (paper size: 841 x 594 mm). If you chose to print this one also make sure that it's printed 1:1 scale / 100% size. Click HERE for download (works best on a stationary normal PC/Mac). KEPs T3-21 V2 Optional Ski with strakes. 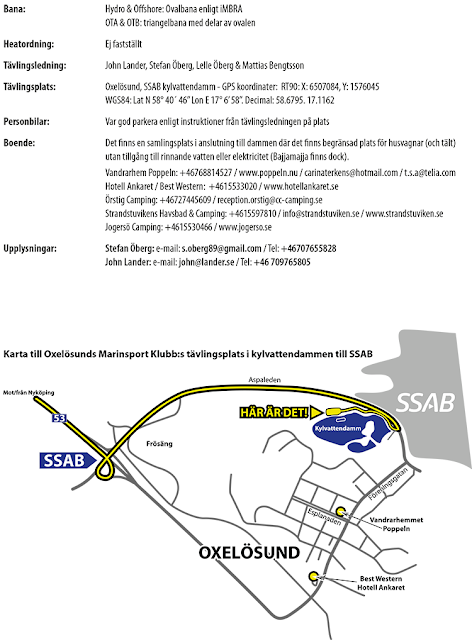 This extra optional Freebie drawing is A3 size (paper size: 297 x 420 mm). If you chose to print this one also make sure that it's printed 1:1 scale / 100% size. Click HERE for download (works best on a stationary normal PC/Mac). 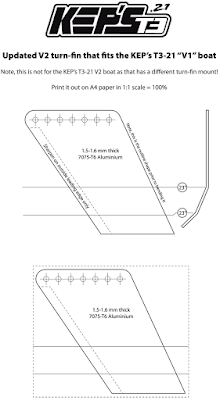 If you want to cut-out the tub sides, ski sides and sponson side views on a CNC etc - Click HERE for download of a zip file that includes dxf & dwg drawings of these three T3-21 V2 template side profiles. Note, you need to specify the hole dias yourself (in a CAD program). 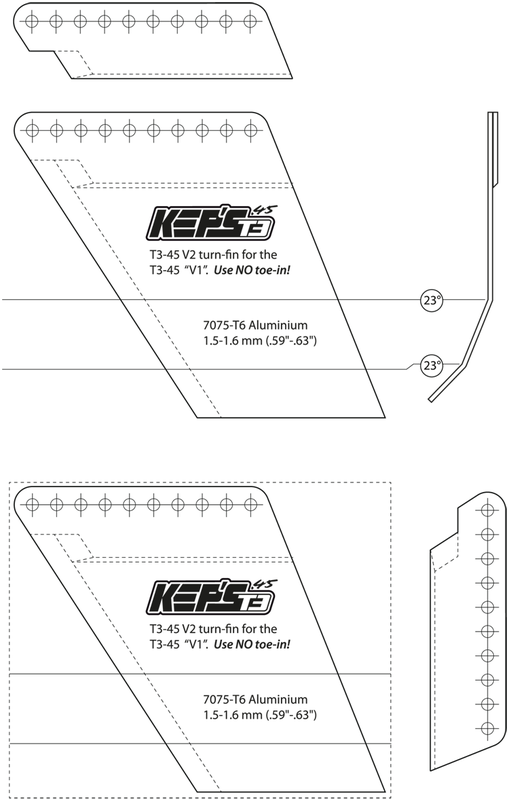 If you have the earlier KEP's T3-21 "V1" - Click HERE for a download of an updated "T3-21 V2" fin that is adapted for the T3-21 "V1" turn-fin mount.